On my regular weekly walk through the park near the falls I noticed two of the Maid of the Mist boats has already been moved from the dry docks on the Canadian side of the border to the new dry docks in the United States just beyond the Rainbow Bridge. 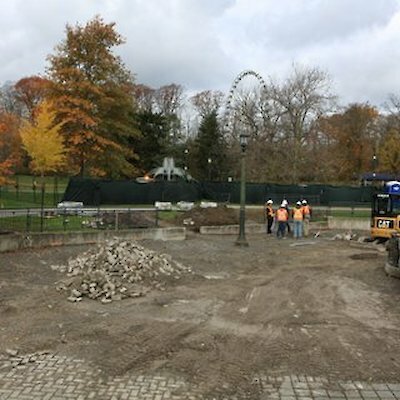 The buildings used to sell “Maid” tickets located near the foot of Clifton Hill have already been moved and landscaped for new grass next spring. It will soon seem like they never existed in Canada. 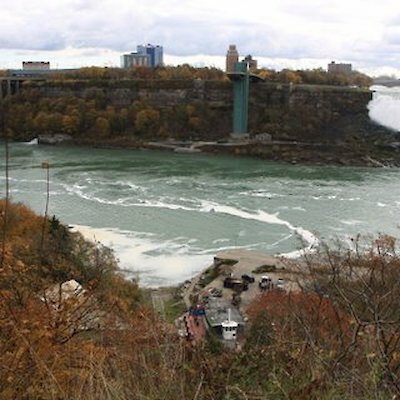 In the spring of 2014 a new company, Hornblower of Canada will begin operating new tours from the Canadian side to the base of the falls using 700 passenger zodiac boats that have been built in Wheatly, Ontario. I plan to take a trip there this week to take a look at the boats. I’ll attach a few photos of the boats after my trip.